A 90-YEAR NARRATIVE Help shape our future. Be part of the Law School story. The UWA Law School was established in 1927. It is the oldest Law School in Western Australia and the fifth oldest in Australia. Over the past 90 years we have gone from strength to strength, and have a long and proud history of excellence in legal education, research and community service. We are immensely proud of the achievements of our graduates, staff and students. Our rich history over the decades has included many highlights, which you can view in the timeline below. You may even be able to find your own story detailed within. If not, we invite you to share it with us. Check back in soon to view the Law School timeline. Future Premier of Western Australia, Peter Dowding, graduates. Future Chief Justice of the Supreme Court of WA, Wayne Martin, graduates. Jeremy Allanson, future Justice of the Supreme Court of Western Australia, graduates. The first edition of the UWA Law Review, the oldest University Law Journal in Australia is published. The first Indigenous students graduate (Beau Hanbury, Eric Hayward, and David Maclean). Law students begin competing in the Phillip Jessup International Law Mooting Competition. Future Justice of the Supreme Court of Western Australia, Dominic Martino, graduates. Future Justice of the Supreme Court of Western Australia, Bruno Fiannaca, graduates. Daryl Williams, future Commonwealth Attorney General, graduates. For the first time, women graduates outnumber men, a trend which continues to the present day. Kevin Parker, future Solicitor General and Justice of the Supreme Court of Western Australia, graduates. Le Miere, future Justice of the Supreme Court of Western Australia, graduates. Christian Porter, future Attorney General of Western Australia, graduates. 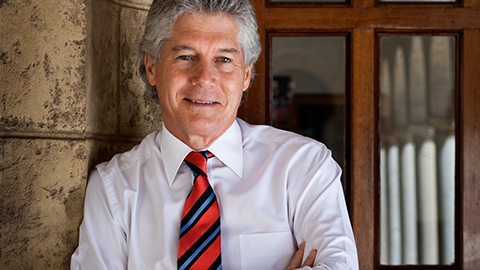 The UWA Law School is born with Professor Frank Beasley appointed as Dean. Antoinette Kennedy, who would go on to be the first female judge of the District Court, graduates. Enid Russell, the first woman admitted to Legal Practice in WA, graduates. The first Chief Justice of the High Court of Australia from WA and future UWA Chancellor, Robert French, graduates. Francis Burt, future Chief Justice of Western Australia, and then Governor, graduates. The curriculum is reviewed for the first time since 1928. Roman Law is dropped and Constitutional Law is expanded. The UWA Law School commences its 90th Anniversary Celebrations. Ronald Wilson, the first WA Justice of the High Court of Australia, graduates. Future Lord Mayor of Perth, Reg Withers, graduates. 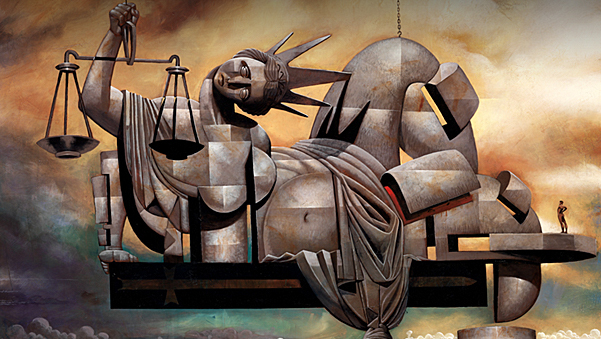 The Law School commences teaching into two majors: Business Law, and Law & Society. Future Justice of the Supreme Court of Western Australia, Jeremy Curthoys, graduates. Cheryl Edwardes, who would go on to become the first female Attorney General of Western Australia, graduates. The Law Society of Western Australia donates the famous courtyard fountain. The UWA Law School wins the Jessup Moot Competition. In partnership with the School of Indigenous Studies, a pre-law program for Indigenous students is established. Sue Gordon, who would go on to become the first Indigenous person to head a government department in WA, graduates. The UWA Law School moves to new premises, which is opened by Sir Garfield Barwick, Chief Justice of the High Court. Future Justice of the Supreme Court of Western Australia, Robert Mazza, graduates. Jim McGinty, future Attorney General of Western Australia, graduates. 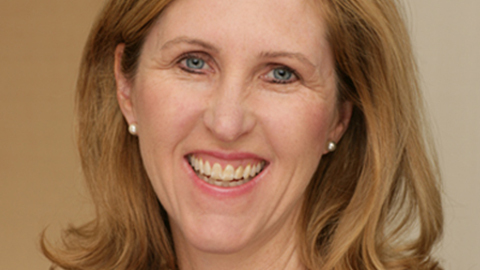 UWA Law appoints its second female Dean, Natalie Skead. Professor Beasley goes into active service, and Ernest Blankensee becomes the Acting Dean. Ben Wyatt, the first Indigenous person to serve as Treasurer in any Australian government, graduates. Ian Viner, future Minister for Aboriginal Affairs, graduates. The first female President of the Blackstone Society, Sarah Beshar, graduates. Future Prime Minister, Bob Hawke, graduates. Future Chief Justice of the Supreme Court of WA, David Malcolm, graduates. UWA Law School appoints its first female professor, Holly Cullen. Robert Mitchell, future Justice of the Supreme Court of Western Australia, graduates. James Edelman, the fourth youngest person to be appointed as a Justice of the High Court of Australia, graduates. Future Governor of Western Australia, Malcolm McCusker, graduates. Stephen Hall, future Justice of the Supreme Court of Western Australia, graduates. Carmel McLure, future Justice of the Supreme Court of Western Australia, graduates. Kenneth Martin, future Justice of the Supreme Court of Western Australia, graduates. In the biggest change to law curriculum since 1928, the LLB is abolished and a Juris Doctor is introduced. Fred Chaney, future Minister for Aboriginal Affairs and Chancellor of Murdoch University, graduates. UWA Law awards its first Masters of Laws (LLM) by coursework. Professor Beasley retires after an astonishing 37 years as Dean, and is succeeded by Douglas Payne. Future UWA Chancellor, Geoffrey Kennedy, graduates. George Winterton, future Fulbright Scholar and Professor of Law, graduates. Gail Archer, future Justice of the Supreme Court of Western Australia, graduates. 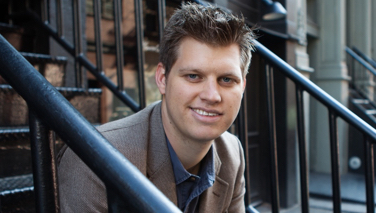 Joseph Starke, UWA Law School’s first Rhodes Scholar, graduates. Andrew Beech, future Justice of the Supreme Court of Western Australia, graduates. Future Justice of the Supreme Court of Western Australia, John Chaney, graduates. The Law degree changes to become a five year degree and the Bachelor of Jurisprudence is abolished. Erika Techera, the first female Dean, appointed. John Toohey, future Justice of the High Court of Australia, graduates. Billy Snedden, future Leader of the Liberal Party, graduates. Caroline Martin, the first female judge of the Family Court of WA, graduates. Future Justice of the Supreme Court of Western Australia, Michael Buss, graduates. Christine Wheeler, the first female Justice of the Supreme Court of WA, graduates. Stephen Smith, future Minister for Defence, graduates. Future High Court Justice, Michelle Gordon, first female UWA graduate to be appointed to this position, graduates. 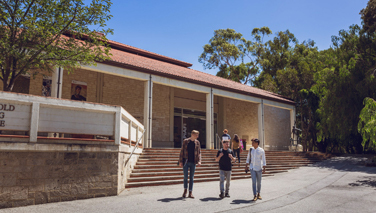 The UWA Law School is situated in the homeland of the Whadjuk Noongar people and is a relative newcomer to a place already inhabited by an ancient Indigenous legal system. The Law of the Whadjuk Noongar focuses on sustaining the connections between all life, and through following their Law, the Whadjuk Noongar kept their Country and people happy and healthy for thousands of years. When the UWA Law School was established, the complex law-ways of the Whadjuk Noongar and other Australian First Peoples was not well understood. Today, however, UWA Law School is proud to welcome Indigenous students from across Australia and looks forward to being a part of walking forward together with the Whadjuk Noongar and other First Peoples of Australia. The UWA Law School is born in 1927 and teaching begins in 1928 with thousands of students – well, hundreds – okay, 21 students. Professor Frank Beasley is the first Dean and the only full time staff member. UWA Law starts in the University building on the corner of St George’s Terrace and Irwin Street, and moves into two rooms in the newly completed Winthrop Hall in 1936. Students and staff wear formal dress to all classes, which is to say, men wear ties and everyone wanders about in black academic gowns. The law student society is established and named after a famed English jurist, ensuring that future students forever know the name ‘Blackstone’ although some may associate it more with parties than with jurisprudence. Before the advent of UWA Law, the only way to qualify as a lawyer was to undertake a five year articled clerkship (practical training in service to a member of the profession). The new four year Bachelor of Laws (LLB) combined with a three year clerkship provides an alternative pathway that is particularly important for women, who find it difficult to get articles due to the attitudes of the times. Of the 59 students who graduate between 1930 and 1939, 11 are women. The very first students graduate in 1930 and back then they knew a thing or two about celebrating, with graduation festivities lasting three to four days and ending in a ball. Notable graduates in this era include Joseph Starke (the Law School’s first Rhodes scholar) and Enid Russell (the first woman admitted to legal practice in Western Australia). The world is at war, and UWA Law shuts down from 1942 - 1943. Professor Beasley goes into active service, and Ernest Blankensee becomes the Acting Dean. In 1943, UWA Law moves into new premises that have the advantage of a disused chemistry lab that can be converted into a library, but the disadvantage of being built in a time when constructing things out of asbestos was thought to be a sterling idea. The Law School increases its full time staff to a grand total of two in 1947, and publishes the first edition of the oldest University Law Journal in Australia, the UWA Law Review, in 1948.
Notable graduates include Francis Burt (later Chief Justice of Western Australia and then Governor) and Ronald Wilson, the first WA Justice of the High Court of Australia and later the Chair of the Human Rights and Equal Opportunity Commission. In 1952, the curriculum is reviewed for the first time since 1928. Roman Law is dropped and Constitutional Law is expanded. Law students begin to worry less about the Emperor Justinian and more about the separation of powers. Between 1950 and 1960, UWA Law graduates a future Prime Minister (Bob Hawke), two Commonwealth Ministers (Billy Snedden and Ian Viner), a High Court justice (John Toohey) a WA Senator (Reg Withers), a WA Supreme Court Justice and UWA Chancellor (Geoffrey Kennedy), and the Vice-President of the International Criminal Tribunal for the Former Yugoslavia (Kevin Parker). Future students increasingly feel they have a lot to live up to. Professor Beasley retires in 1963 after an astonishing 37 years as Dean, and is succeeded by Douglas Payne. The UWA Law School moves into a building that wins architecture awards and is importantly made of concrete rather than asbestos. The new premises are opened by Sir Garfield Barwick, Chief Justice of the High Court, in 1967. The students prove the worth of their legal education by successfully challenging the hourly rate at which they were paid to move law books across campus. The Law School acquires a fountain in 1968. Sometimes it still works. Notable graduates include a future WA Premier (Peter Dowding); WA Governor (Malcolm McCusker); WA Chief Justice (David Malcolm); first female judge of the District Court (Antoinette Kennedy); first Commonwealth Director of Public Prosecutions (Ian Temby), and two Commonwealth Ministers (Fred Chaney and Daryl Williams). UWA Law turns 50 in 1977 and is guided through the decade by three Deans: Eric Edwards (1971-4, 1976-8), IWP McCall (1975), and Anthony Dickey (1979 - 1981). A quota for entry into law is introduced in 1972 and the degree is restructured into a three year Bachelor of Jurisprudence with an additional year of study required to obtain an LLB. Academic attire is abandoned. Law school staff are inspired by the arrival of jeans on campus, and denim remains an integral component of the wardrobes of many law academics to this very day. In 1971, Robert French graduates and goes on to become the first WA Chief Justice of the High Court in 2008. In 2017, Robert French returns to UWA as an Adjunct Professor and will serve as UWA’s fifteenth Chancellor from 2018. Other notable graduates in this era include Moira Rayner (first female Commissioner on the WA Law Reform Commission), Wayne Martin (Chief Justice of the Supreme Court of Western Australia), Carolyn Martin (first female judge of the Family Court of WA), and Stephen Smith (Commonwealth Minister). Power ballads blare out across campus as the Law Library, like hairstyles, gets bigger. The Deans of the 80s are Richard Harding (1982 - 1984), Louis Proksch (1984 - 1987), and James O'Donovan (1987 - 1990). The Law School awards its first ever Doctor of Philosophy (Ph D) in Law to Cristopher Carr, and the first female President of the Blackstone Society, Sarah Beshar, graduates in 1982. Other notable graduates in this decade include Cheryl Edwardes (later Attorney-General of Western Australia 1993-1995), Michelle Gordon (appointed to the High Court in 2015), and Christine Wheeler (first female justice of the Supreme Court of WA). In 1986, for the first time since the establishment of the Law School, women graduates outnumber men, a trend which continues to the present day. Between 1988 and the early 90s – over 60 years since the Law School was established in Whadjuk Noongar Country – the first Indigenous students graduate (Beau Hanbury, Eric Hayward, and David Maclean). In 1992, the Law degree changes to become a five year degree that must be combined with another undergraduate qualification, and the Bachelor of Jurisprudence is abolished. UWA Law awards its first Masters of Laws (LLM) by coursework in 1991 and continues the tradition of having three Deans per decade: Stan Hotop (1990 – 1992), John Phillips (1993 – 1995) and Ian Campbell (1996 – 1999). Law students begin competing in the Phillip Jessup International Law Mooting Competition in 1992, resulting in the consumption of much time, energy and coffee and the generation of high levels of anxiety. Notable graduates of the 90s include James Edelman (appointed as a Justice of the High Court in 2017), and Ben Wyatt, the third Indigenous Australian in Parliament and the first Aboriginal person to serve as Treasurer in any Australian government. UWA Law School celebrates turning 75 in 2003 and the Jessup Moot team celebrate too after winning the world championship under the guidance of the late Dr Peter Johnston. William Ford serves as Dean from 2000 – 2010 and is succeeded by Stuart Kaye (2010-2012) and then the first female Dean, Erika Techera (2013 – 2016). UWA Law appoints its first female professor, Holly Cullen, in 2010 and its second female Dean, Natalie Skead, in 2017. The Aboriginal pre-law program continues to increase Indigenous participation in law and from the inception of the program in 1994 to 2017, UWA Law graduates sixty Indigenous students, including a record six graduates in a single year in 2017 (Dylan Collard, Stephanie Councillor, Angela Crombie, Kelsi Forrest, Katja Gvozdenovic and Micah Kickett). In the biggest change to law curriculum since 1928, the LLB is abolished in 2013 and a Juris Doctor is introduced. UWA Law embarks on a new era of teaching law as a postgraduate degree, and offers majors in Law & Society and Business Law within undergraduate Arts and Commerce degrees. In 2013, UWA law student Akram Azimi – who fled Afghanistan as a refugee in 1999 – is named Young Australian of the Year in recognition of his dedication to social justice. As UWA Law looks to its next chapter, it is determined to uphold the high academic standards and intellectual rigor of its courses and to ensure these courses are inclusive of students of all cultures, backgrounds and identities so as to create the critical thinkers of the future. Over the decades, we’ve produced graduates who have become influential and notable figures in Australian law and politics. Here’s just a small sample of some of our inspirational alumni who have gone on to make a real difference to the world around them. It’s no surprise that Profiles in Diversity Journal named Sarah a Woman Worth Watching. The Senior Partner at David Polk & Wardell, she was also the first female president of the Blackstone Society, the first recipient of the Robert Menzies Scholarship and a member of the first UWA international Jessup Moot Team. Sarah says: "One of my happy memories is representing UWA, for the first time in the Law School's history, in the Jessup Moot Competition at Monash University. Through my education, I learned debating skills that prepared me well for a career 12,000 miles away on Wall Street in New York City." Brett is a passionate advocate of the Law School and remains actively involved with many parts of UWA life. 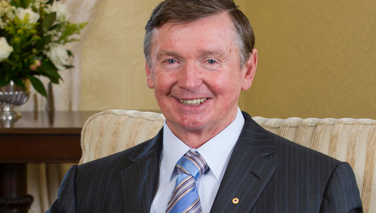 He has contributed a great deal to the university and wider community through his many leadership roles, including on UWA Convocation, the Law Council of Australia, the Law Society of Western Australia, the Legal Practice Board of Western Australia, and the Tax Institute of Australia and as the Chairperson for the Art Gallery of Western Australia Foundation from 2004-2007. 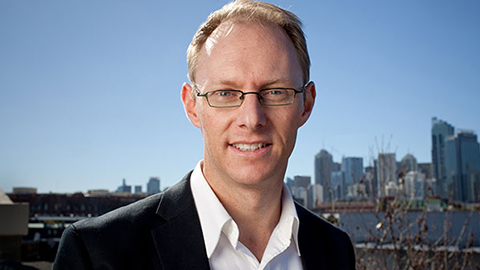 Brett completed his first Law degree at The University of Western Australia in 1987, and most recently graduated from the Doctor of Juridical Science in 2015. He is a Barrister and Solicitor of the High Court of Australia and the founder of the Australia-wide tax law firm, Legal Consolidated Barristers and Solicitors. 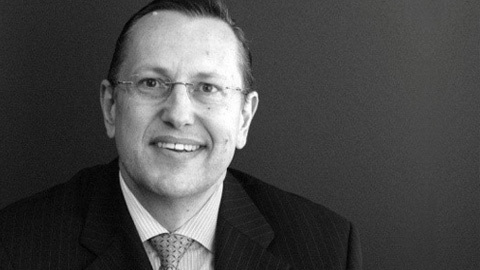 Robert started out in the legal community in 1972 and commenced practice as a barrister in 1983. He went on to be a Federal Court judge, Chancellor at Edith Cowan University and President of the National Native Title tribunal before being appointed the Chief Justice of the High Court of Australia. 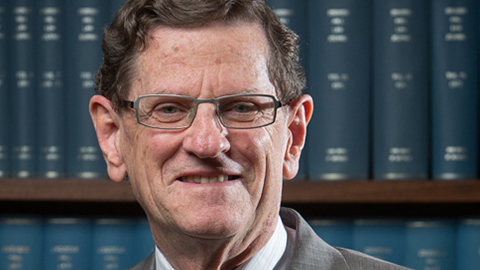 He is now the 15th Chancellor of The University of Western Australia and an Adjunct Professor at the UWA Law School. 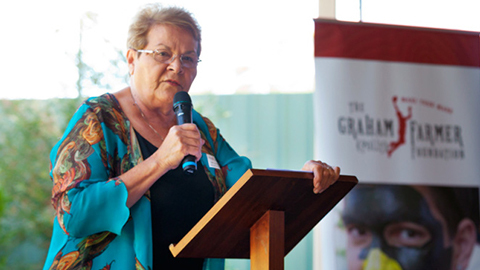 Sue has had a varied and impactful career, and was awarded an Order of Australia in 1993 for her work with Aboriginal people and community affairs. She has achieved many firsts in her career, including being the first Aboriginal person to head a government department in Western Australia, when she was appointed Commissioner for Aboriginal Planning. She was also WA’s first Aboriginal magistrate and first full-time children’s court magistrate; not to mention one of the first commissioners appointed to the board of the Aboriginal and Torres Strait Islander Commission (ATSIC). Sue says: "What I remember is the quality of the teaching staff, both full-time and part-time, and the high standards of the three deans over the eight years of my part-time study. I appreciated the access students had to so many eminent scholars. Nothing appeared to be too much trouble!" 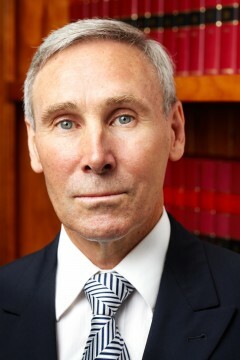 Malcolm James McCusker AC CVO QC was Governor of Western Australia from July 1, 2011 until June 30, 2014. He has a Bachelor of Laws degree from the University of Western Australia and is a Queen’s Counsel. Mr McCusker is well known for his successful representation of wrongfully convicted persons in a number of high-profile cases. He has been Patron of more than 100 community organisations and is currently a Director of the Minderoo Foundation, Director of the Australian Wildlife Conservancy and is Chairman of the McCusker Charitable Foundation, a family foundation, which distributes substantial funds each year to worthy charities. 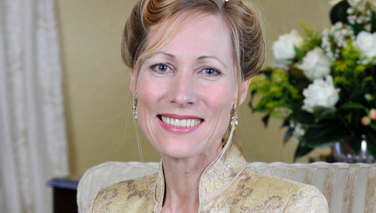 Tonya completed a Law degree at The University of Western Australia in 1994. She was previously Business Development Manager of the Leeuwin Youth Development Foundation and then spent five years as Business Development Manager for the Chamber of Commerce. Tonya is a Trustee of Telethon, an Alternate Director with the Minderoo Foundation, Director of Celebrate WA and the Administrator of the McCusker Charitable Foundation which works closely with more than 100 community and charitable organisations. Noongar woman Krista McMeeken grew up in Esperance and relocated to Perth in 2008 to study a Bachelor of Laws at UWA. 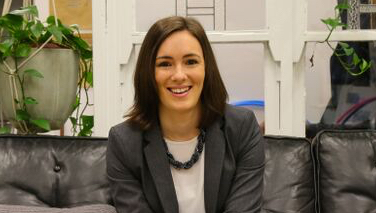 Krista practiced as a corporate commercial lawyer for five and a half years before taking a role as the Principal Policy Officer at the office of the Commissioner for Children and Young People. Krista devotes her spare time to mentoring youth, as well as generating and supporting new ideas for the success and sustainability of our communities. Degrees in Arts and Law from The University of Western Australia have enabled David Ritter to pursue environmental justice on a global scale. From fighting for Indigenous rights in WA to becoming CEO of Greenpeace Australia Pacific, David’s mission has always been to promote justice and sustainability. David says: "One of my fondest memories is when visiting Canadian lecturer Allan C Hutchinson of Osgoode Hall came into the lecture theatre and said in his deep accent, 'the law has too often been made by those on the river bank, not those who are drowning'." Michael Sheldrickis Global Advocacy and Policy Director at Global Citizen, where he oversees international advocacy campaigns in support of universal sanitation, access to education, gender equality and polio eradication. He holds degrees in law and political science from the University of Western Australia and was 2013 Young Western Australian of the Year. In 2017, Michael was named by the Secretary-General of the Commonwealth as a finalist for Young Commonwealth Person of the Year. After an illustrious career in federal politics, Stephen has returned to The University of Western Australia as a Winthrop Professor of International Law. He brings to the role experience as Minister for Foreign Affairs, Minister for Trade and Minister for Defence. Stephen says: "UWA Law taught me the need for clarity of thought, not just about what the law was at that point in time, but whether it and, as a consequence, society could be changed for the better." After graduating from the UWA Law School, Bob went on to be Prime Minister of Australia for eight years from 1983-1991. Prior to this he was President of the Australian Trade Council Union and a Member of the House of Representatives. As a Rhodes Scholar and UWA baseball team player, he was an active member of the University community. Ben has spent the majority of his career working in Western Australian politics. His roles have included Member of the Western Australian Legislative Assembly for Victoria Park, Shadow Treasurer and Shadow Minister for Education. He was most recently appointed to the role of Treasurer in the 2017 State Elections and is the first Aboriginal Treasurer in Australian state or federal government. Carmel commenced working for the Australian Attorney-General’s Department in 1977 before being articled as a legal clerk in the 1980s. In 1987 she became a partner in the firm later known as Corrs Chambers Westgarth, and took silk in 1997, appointed as a Queen’s Counsel. Carmel was a barrister until 2001, and her appointment to the bench as a judge of the Supreme Court of Western Australia. Thousands of students have graduated from the UWA Law School since its opening in 1927 – are you one of them? If so, we would love to hear stories or fond memories of your time at the School and the path you have followed since graduation. Are you happy for us to share this input with our community as we write our story? The UWA Law School has spent the last 90 years firmly establishing itself as one of the country’s most successful and respected training grounds for legal excellence. We now invite you to send us your suggestions for new initiatives and improvements to help us reach even greater heights as we head towards our centenary in 2027. To celebrate 90 years of the UWA Law School, we’re presenting a number of special events with law as their theme. Supported by Corrs Chambers Westgarth, the 2018 George Winterton Memorial Lecture, titled 'Constitutional Interpretation', will be delivered by The Hon. Justice James Edelman and will consider the nature and theory of constitutional interpretation and how the Constitution should be construed. This is a free event however due to seating restrictions, tickets are required. The John Toohey public lecture honours the career and contribution to public life of a very distinguished graduate of The University of Western Australia, Justice John Leslie Toohey who, after graduating in Arts and Law, went on to become one of the State's outstanding legal practitioners and subsequently one of the country's eminent jurists. 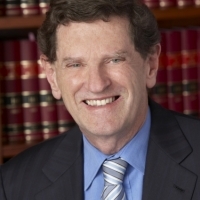 The Oration will be delivered by Greg McIntyre SC, who will address the articulation by the Honourable John Leslie Toohey AC QC, in the course of his legal and judicial career, of the fundamental rights and freedoms which form part of the universal norms of a democratic society and are protected by the Rule of Law. The UWA Law School invites you to attend the launch of our Fountainside Chat series . A bi-monthly event, this series is an opportunity for you to go off the beaten path and find yourself in conversation with mavericks from all walks of Law. Pull up a chair and explore how the alumni and friends of the UWA Law School have defined an era, broken down barriers or pioneered a life in Law. For the Launch of this series, join The Honourable Robert French AC as he traces his journey from the playground at St Louis School, Claremont to becoming the Chief Justice of the High Court of Australia. Art in Law in Art is an interdisciplinary conference investigating the broad themes of how law sees visual art, and how visual art sees law. Papers from any discipline may engage with any aspect that explores these general themes, and may embrace a broad definition of both visual art and law. The conference opens on 4 July at PICA'S When The Sky Fell exhibition. An official launch of our 90 year celebrations, this event will feature the best of the Lawrence Wilson Art Gallery and give attendees the opportunity to mingle with Law School graduates, University staff and Executive and other VIP guest. Join us to celebrate 90 years of excellence in legal education, research and community service. The ideal opportunity to reminisce with old friends, celebrate the present and shape the future. Stay in touch with the Law School. Subscribe to our Law School Newsletter or follow us on social media.